All the tools required for transferring fuel, hoses included, are contained in this strong, compact and easy to transport handy box. The containers main purpose is to keep clean the parts that come in contact with the diesel. A good example is the suction hose may gather dust, if not adequately protected. Sand and dirt could contaminate the fuel when used the time after. The horizontal-split container makes PIUSIBOX an eco-friendly drip-catcher. The regular, smoothly joined surfaces make periodic cleaning an easy task. 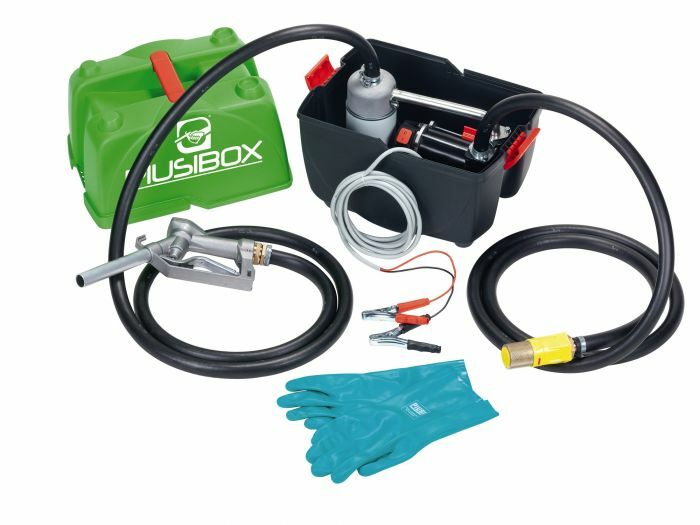 Based on 30 years of experience and PIUSI know-how and protected by international patents, PIUSIBOX is the modern, practical and ecological solution for refueling agricultural machinery, worksite equipment and road-building machines – Wherever diesel refueling must be done quickly and safely.